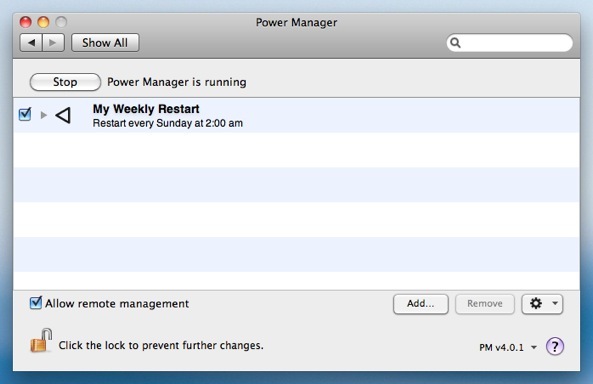 It can be useful to ensure your Mac is restarted at least once a week. 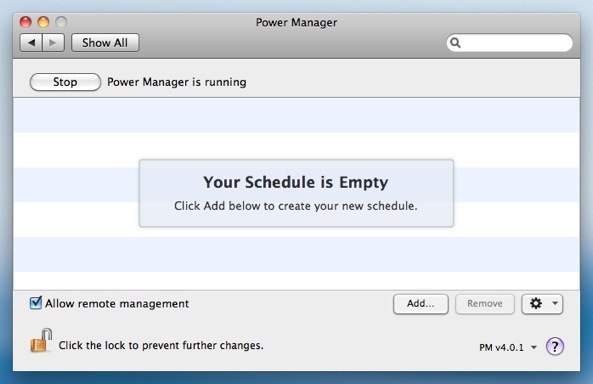 In managed environments, such as classrooms and labs, Macs can go many weeks without being shut down or restarted. 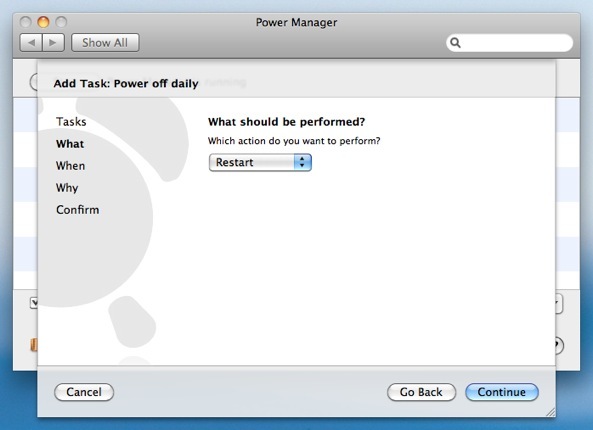 Being able to automate a restart once a week is possible with Power Manager. Select Restart for What should be performed?. Your restart event is now scheduled and ready to run. 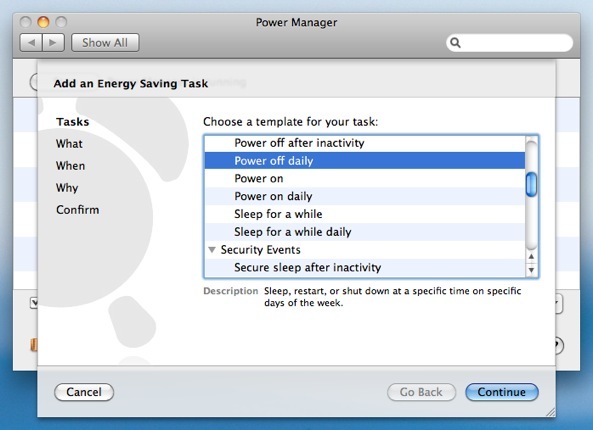 The event will wake up a sleeping Mac in order to perform the restart. However, if the Mac is already shut down when the event is due, nothing will happen. Thus you know the Mac will be always be restarted or shut down once a week. 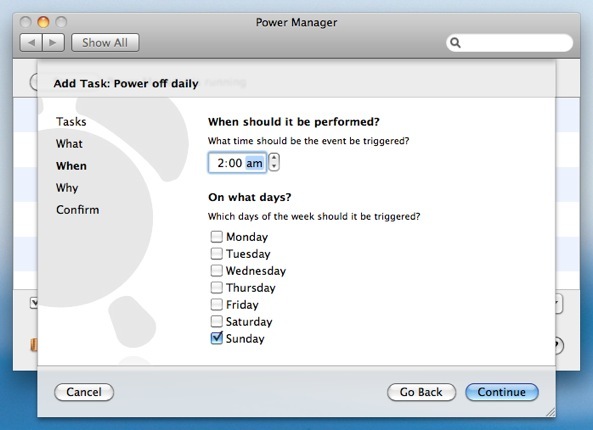 This article was posted in PM4, Power Manager, and Recipe and tagged automate, dssw, how to, Power Manager, and restart.